Time is drawing near for the 22nd anniversary of Shambhala Music Festival from August 9-12. The annual event which takes place in the pristine wilderness of the Kootenay mountains in British Columbia an is by far one of our most anticipated events. We put Shambhala at the top of our list of festivals to experience in 2019 and for good reason. No other festival in North America can boast Shambhala’s unique combination of vibrant culture, cherished tradition, audio-visual production and musical curation. Comprised of six awe-inspiring individually curated stages, The Living Room, The Pagoda, The Village, The Grove, The Fractal Forest and The AMPhitheatre, Shambhala blends an array of sonic textures and personalities to create one glorious whirlwind of love, exploration and community. 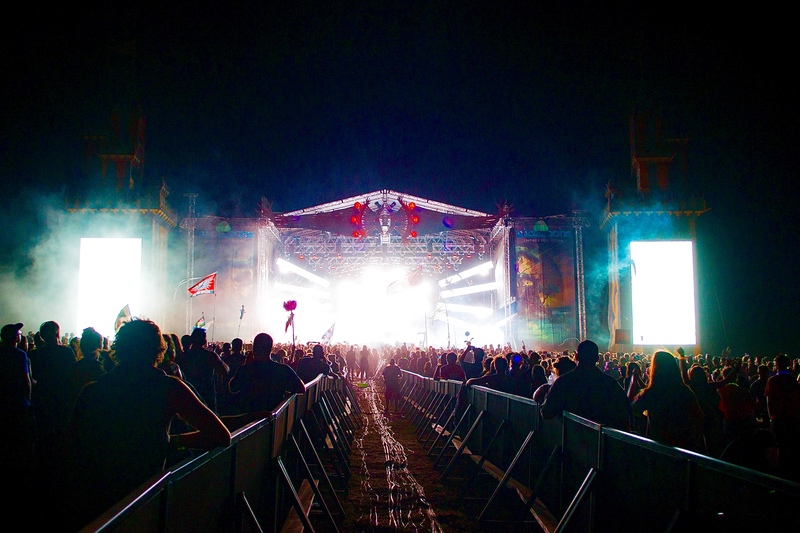 When the festival kicks off in August, Shambhala will become the longest running electronic music festival in Canada. Now with the festival’s full lineup set to drop very soon, Shambhala has released the first four names set to make their way to the farm. Get Your Tickets for Shambhala’s 22nd Anniversary Here! 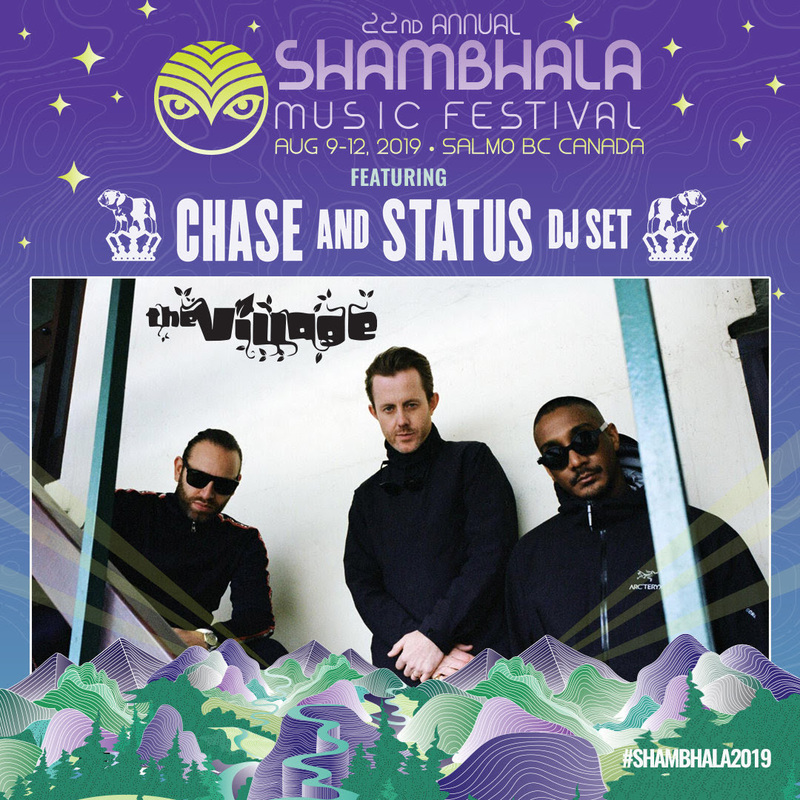 There has perhaps been no better stage-artists pairing in Shambhala history than Chase & Status at The Village. The UK natives and living drum & bass legends will make their debut at this year’s 22nd anniversary, bringing loads of fresh dubs from their forthcoming album RTRN II JUNGLE. Bass aficionados from all backgrounds will undeniably be infatuated with the inclusion of this legendary duo and their set is surely one not to be missed at The Village. 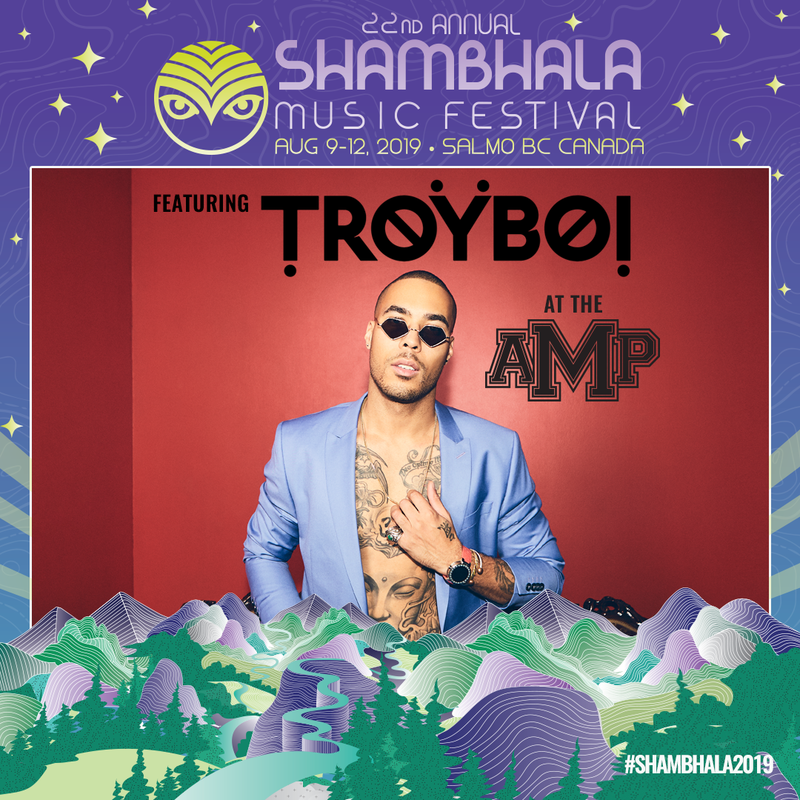 Making a triumphant return to Shambhala in 2019 is yet another UK headliner, TROYBOI. With an unmistakable style and untouchable swagger all his own, TROYBOI has established himself as a legitamte global superstar. As a producer, TROYBOI is a master of blending a wide array of musical styles to create a bouncy, angsty and infectious concoction rife with menacing bass and provocative percussion. With the major sound system upgrades that The AMPhitheatre made last year, TROYBOI is primed to absolutely crush his return set this summer. As enigmatic as he is talented, Grammy-nominated innovator ZHU is set to make his Shambhala debut as well. The genre-defying maverick has captured the hearts and minds of millions across the globe and with nearly half a billion online plays there is no denying ZHU’s game-changing impact on electronic music. As the unofficial mainstage of Shambhala, The Pagoda is definitely the best environment to host such a massive performance. Thick vibes and bass lines will be on display as ZHU takes the stage for an unreal performance. Finally, the funkiest of all the announcements so far has to be Griz at The Fractal Forest. 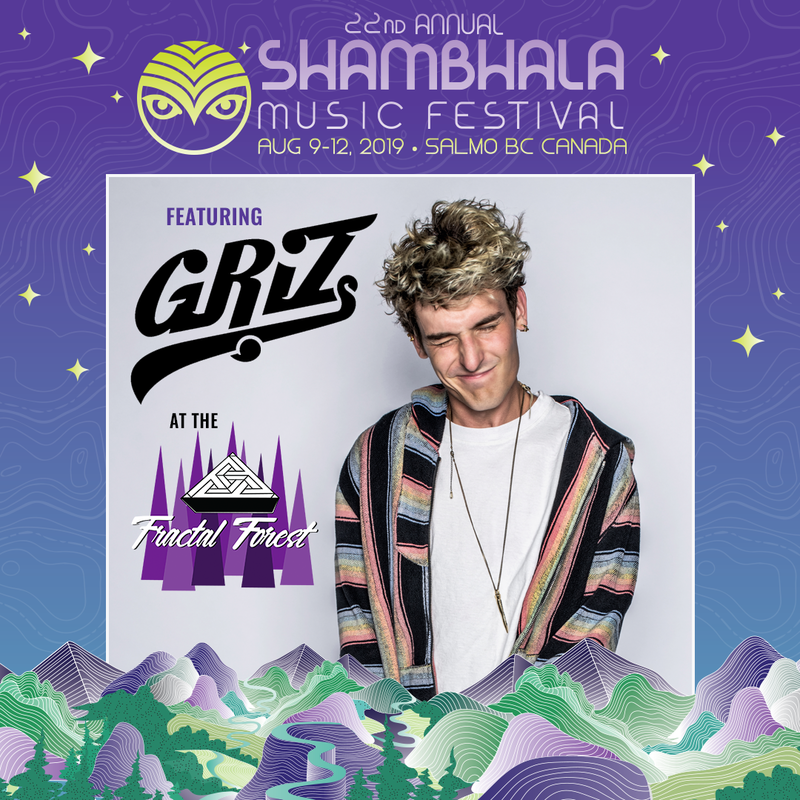 A Shambhala vet, Griz is no stranger to playing at the farm having already graced The Pagoda and The Village. Now the funk phenom will bring his unyielding energy and one-of-a-kind live performance to the dopest dance floor in the world. The 360-degree madness that is The Fractal Forest will be on fire with Griz’s blazing tunes, and we seriously can’t wait to take it all in.